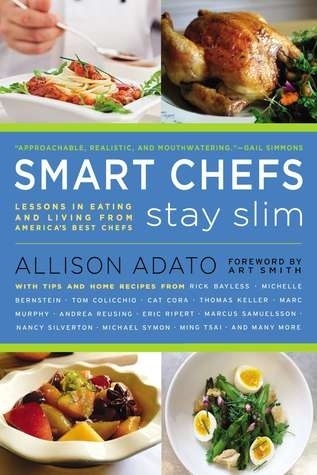 Overview: Healthy-eating and living tips for navigating the best food on the planet as well as home recipes from top chefs such as Rick Bayless and Thomas Keller. Devour with: a chilled glass of moscato and a lazy attitude near your hard-working garden on a summer afternoon. You’ll change your habits and put all of these tips into play… tomorrow. I really, really loved the format of this book. I had trouble classifying it as a cookbook, because I read it cover to cover. Adato nailed an absolutely intriguing set-up for each chapter: the premise or “rule” followed by examples and strategies, a couple of related recipes and a “behind the lessons” story. My copy of the book is dog-eared and covered with lots of notes (I’m a bit of a nerdy reader that way), and while it’s a good source of recipes, I would also classify it as a great life and kitchen guide. I’ve stored it with other similar reference books and cooking assets – the items I turn to again and again to reread or recall a particular trick. This is a really ingenius take on all the boring food books in ready supply. I also found Allison very responsive and appreciative in a genuine way when I mentioned online I was reading the book, which was refreshing. I love her journalism background (she is a senior editor at People and has written for LIFE and Time) and the way she applied it to dig deep on some of the theories she laid out in the book. And, like every book I read and enjoy, I decided I liked her on a personal level and that we would be besties. I’m looking forward to meeting her for a glass of wine, gabbing and a great meal next time I’m in Manhattan. 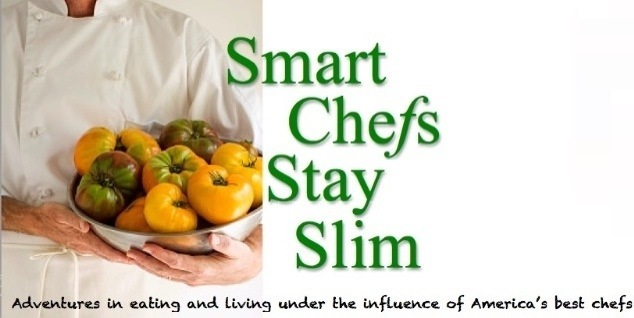 I agree with a Today Show nutritionist’s recent praise for the book: “Solid advice, easy to put into practice.” Check out the Smart Chefs Stay Slim book and website – I’d love to know what you think! All photos are from the author’s website/Goodreads and are not my own. This book was provided to me for review through the Goodreads reviewer program. All thoughts and opinions are my own. Goodreads.com is a fantastic site for tracking books you’ve read and want to read and keeping up with what your friends or readers with similar interests are reading. I recommend it enthusiastically! I love that you read the cookbook from front to back… I totally get that. Must check out goodreads.com next!